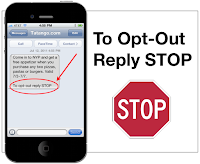 Opting out of things is a modern phenomenon necessitated by the deluge of advertising e-mails we get. The phrase means "to quit participating." By placing our phone number on the National No-Call List, we have 'opted out' of being annoyed during dinner by a salesman. I have recently exercised my option to "opt out" once again, only this time, it is from only one aspect of Christianity. I joined a denominational church. That in itself will raise the eyebrows of many who know me, due to my long-standing opposition to denominationalism. This has actually been in process for quite some time, though I was not fully aware of all the implications. There has been a general dissatisfaction with the lack of spiritual awareness in the Church that has plagued me pretty much since my return to the fold. Things changed drastically during my 10-year hiatus. Leaders began insisting on being recognized by their title. Worship music took on the contemporary commercial impetus. Churches with 2500 members were no longer classified as "mega." Bible teaching was relegated to a short period on Sunday or Wednesday, and almost unheard of in the main service. The centrality of scripture in the life of the believer was moved to the place of "confirming what I feel." Each of these changes could be the basis for an article or two, and I have previously written about some of them. But that is no longer necessary. In the same way that I was driven away from all things religious in 1992, these things have served to drive me toward my new awareness. It appears that the lack of reality in the early '90s has borne the fruit of a completely plastic spirituality in this early part of the 21st century. In a nutshell, I have grown weary of the Charismatic Confusion confronting the Church. I have "Opted Out" of charismania. Beliefs and experiences relating to the charismatic experience are not at issue here, and little has changed for me in this. The Spirit-filled life is still a phenomenal existence. One of the main benefits of this move has been the amazing amount of peace surrounding me, as I am no longer "burdened" by the condition of the Church. I have no necessity laid on me to help others come to see the value and necessity of the Word in their lives. The denomination I have affiliated with is probably considered by many, including myself, to be liberal. The congregation I have joined is not. The foundational principles of the denomination are what attracted me. Please understand—I am NOT suggesting that anyone else follow me in any fashion. However, there may be some who find a confirmation for what they are sensing. I wrote this for myself and for them.